The memorial episode for both Cory Monteith – who died last month from an overdose at the age of 31 – and his alter-ego, Finn Hudson, will be the third episode of show’s upcoming fifth series. 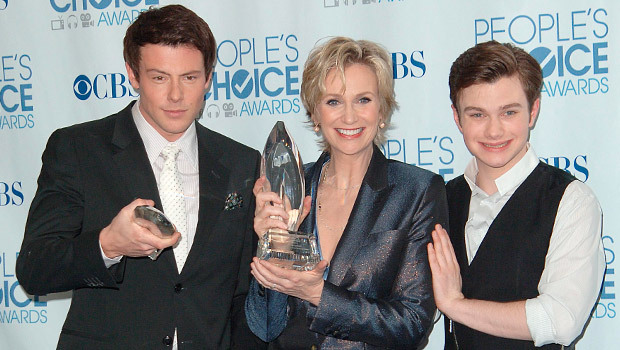 Fans of the talented Monteith have rallied together through this difficult time, and the cast and crew have also turned to one another for support. ‘The cast and crew have had solace in being together. There’s been tears on set. It’s been hard for a lot of people. But the really difficult thing is coming. We start shooting the memorial episode this week. We’re just now finishing it, and at the end of the week we’ll send it to [the studio 20th Century Fox Television] to get their approvals,’ Murphy told Deadline. The actress also revealed to US Weekly that it’s been hard to go back to work without Monteith there.